Violet says that Rose is eighteen, meaning she was born on September 11, 1902 (as newly mentioned by the producers); Violet was told that Rose "hates London" which is why she is coming to stay with her, until her father can finish with his work in London and they can go to their country estate in Scotland. However, when she arrives and learns that Lady Edith Crawley is planning a trip to London, she eagerly wishes to go too, much to Violet's surprise. Rose's explanation is that she is planning a secret surprise for her mother, but does not say what. She asks that no one else mention this. 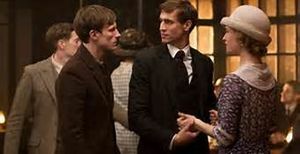 Later, Matthew Crawley has to go to London. He agrees to stay with Lady Rosamund Painswick, at Eaton Square, as Rose and Edith are doing. Edith tells Matthew that she feels she will need help controlling Rose, out of "instinct." When they arrive at Rosamund's house, she insists they all dine with her that night at eight o'clock. Immediately after they all go out, Rose makes a phone call, then later is seen getting into a taxi dressed in clothes one would not expect a well-born young lady to wear. Rose does not show up for dinner, so they begin without her. During dinner, Rosamund's butler brings in the taxi driver who drove Rose from the house that day. He is returning a scarf that she left in the taxi. The butler has sent him up since he can inform Lady Rosamund of Rose's destination. He explains that Rose first met a gentleman friend and spent two hours with him in Warwick Square, after which they went to a club, the Blue Dragon. Rose and Terence Margadale together at the Blue Dragon. Matthew, Edith, and Rosamund go to the Blue Dragon, where they find Rose dancing wildly with, and passionately kissing, a former employee of her father's named Terence Margadale. Rosamund gets him to admit that he is a married man and Matthew dances with Rose. She says that Terrance loves her and wants to marry her as soon as he can get a divorce from his horrid wife. Matthew says that men trying to seduce young women often describe their wives as horrid, and she should meet her and decide for herself. He persuades her to return to Rosamund's house, making a deal with her that they won't say anything about her seeing Margadale if she promises not to try to see him again as long as she is staying with the Crawleys. However, Violet finds out about it anyway after overhearing Rose and Edith talking about keeping a secret. Violet then contacts Rosamund and gets her to tell everything by pretending that Edith had already told her. Rose is then told she is being sent to Scotland with a stodgy old aunt and will be escorted the entire way to keep her from running away to see Terence. Violet and Rose at the Ghillies Ball at Duneagle Castle. By September 1921, Rose is caught in the middle of a bitter "war of words" between her parents during the Crawleys' stay at Duneagle Castle. It is revealed that Rose's motivation for acting in a notoriously rebellious manner is her hostile relationship with her troubled and neurotic mother, who is distressed over a loveless relationship with Rose's father. Rose finds a friend in Anna Bates. Rose meets Anna and John Bates when she is outside crying woefully. They give her sympathy and a breath mint to hide the fact that she has been smoking. She has told Anna to come to her if she needs anything, and Anna does when she wants to learn how to dance a reel (as a surprise for her husband). Rose teaches her to dance for the Ghillies ball. Sometime after September 1921, Rose arrives at Downton and has evidently settled in by February 1922. Feeling guilty for her mother's stealing O'Brien away from Cora, she decides to place an advertisement for a new lady's maid at the local telegrpah office. When former maid Edna Braithwaite responds, Rose and Cora interview her in Ripon. 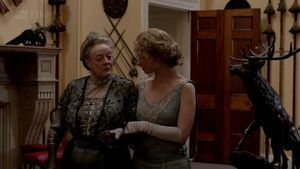 Rose encourages Cora to take her on, unaware of Edna's past at Downton and of her true, dark intentions for returning. Feeling bored, Rose manages to convince Mary's maid, Anna Bates, to accompany her into town where the two visit a dance hall. Rose's presence catches the attention of a young man named Sam Thawley who asks her for a dance. 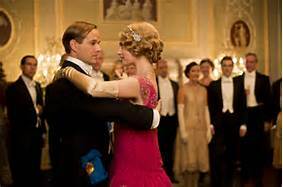 During the dance, Rose lies to him and tells him she is a servant at Downton Abbey. Before the dance ends another young man, who also wishes to dance with Rose, interrupts. He is drunk and he demands that Rose dance with him instead. She refuses, preferring to dance with Sam. He grabs her so Sam defends her and tries to push the other man away, causing a fight. In the meantime, Jimmy has also noticed them heading into the hall and he and Anna persuade Rose to run before the police arrive to break up the fight. Later on that evening, Sam turns up at the door for the servants quarters. Anna answers the door and rushes to tell Rose of the quandry, since he still thinks Rose is a servant. Rose decides, with Anna's help, to dress up as a servant to speak to him. She kisses him but then she tells him their relationship must end, pretending it is because she is engaged to marry a farmer. 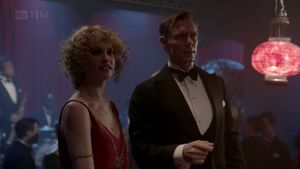 Rose accompanies Mary, Tom, and Rosamund to the Lotus Jazz Club in London with Lord Gillingham, a love interest of Mary's, and Sir John Bullock, who had caught Rose's eye at a Downton house party. Unfortunately, Bullock drinks too much, and Rose does not sit down with the rest of her relatives but continues dancing. Bullock makes a drunken scene but must desert Rose on the dance floor when he gets sick from his over-drinking. Rose dances with Jack Ross. Facing humiliation, Rose is saved by the lead singer of the band, American Jack Ross, who immediately steps in and dances with her. Rose's relatives, Rosamund in particular, are not pleased, because Jack is both an entertainer and black. But Rose does not mind at all, in fact, she's completely fascinated. Upon learning of plans for a birthday party for Robert, Rose decides to invite Ross and his band members to Downton to entertain, but keeps it a surprise. She greets Ross when he arrives in the servants' quarters. Mary later spots Rose and Jack kissing. Rose once again schemes to get to London to see Jack, where they spend a romantic afternoon and kiss again. Tom later spots Rose meeting Jack in a cafe in Thirsk (and witnesses her stroking his cheek), when she told the family she would be shopping. Mary, informed by Tom of Rose's tryst, speaks to Rose, insisting she does not want Rose to lose control of her life. Rose angrily insists that she loves Jack and does not care that he is black. Rose reveals she has decided to marry Jack, not caring what it takes, saying she wants "to see her mother's face crumble" when she tells her. Mary goes up to London to speak to Jack, asking him if he's sure Rose loves him because although she is sure Rose cares for him, she's not sure it's love and suspects Rose may primarily want to shock her mother, whom, she informs Jack, Rose hates. Jack admits he loves Rose but does want her to be looked down upon by society, so he has already decided not to marry her. Afterwards, Rose is angry with Mary, accusing her of being "just like" her (Rose's) mother. Mary says she is not, but tells Rose if she is going to complicate her life that she should do so for the right reasons. Rose and her friend, Madeleine Allsopp, daughter of Lord Aysgarth, go clubbing in London, where Madeleine introduces her to Freda Dudley Ward, who is the mistress of the Prince of Wales (later King Edward VIII). Freda has told Rose about a love letter from the prince which is in her handbag, which Rose unwisely jokes about at the table they join at the club. Freda later informs Rose the letter is missing. Terence Sampson is suspected, as he remained at the table while the others danced. Extortion is suspected as his motive and there is great fear of a ruinous scandal. Rose, feeling guilty, informs Robert of the situation. Robert, disapproving of the prince's behaviour but a staunch monarchist, is determined that the Crawley family will have no part in a scandal over the prince's indeiscretions and an elaborate scheme is hatched to retrieve the letter, involving a poker game, to which Sampson is invited, along with Tom, Lord Gillingham, Harold Levinson, and Aysgarth. While the poker game takes place, Rose, Mary, and Charles Blake go to Sampson's flat to search for the letter, gaining access with a letter that John Bates has forged. Their search turns up nothing. They return to the London house, where the poker game breaks up. Following a hunch, Bates insists on helping Sampson with his coat, during which he retrieves the letter from an inner pocket. Bates later hands the letter over to Robert, telling him how he came upon it. Rose is accompanied by Cora to the presentation of debutantes to King George V, Queen Mary, and the Prince of Wales, who later arrives at Rose's coming-out ball at Grantham House. The prince opens the ball by taking the first dance with Rose as a gesture of gratitude, as Mrs Dudley Ward has informed him that the letter's recovery is due to Rose. Rose invites Sarah Bunting to attend Lord and Lady Grantham's 34th anniversary dinner party without telling Tom or Lord Grantham. She wants to help aristocrats falling on hard times and insists that Downton have a wireless, despite Lord Grantham's reservations but he eventually relents after she informs him the king is going to deliver a broadcast. Rose then moves on to help Russian refugees. Later, Rose falls in love with Atticus Aldridge, son and heir of Lord and Lady Sinderby. They first meet in the pouring rain when Atticus offers to help Rose with her bakery goods which she purchased for some Russian refugees. Later on, after hearing his ancestors came from Russia, she introduces him to Nikolai Rostov and Igor Kuragin. His Jewish faith is revealed when Rostov exclaims that "he is not Russian" and never was. This fact does not bother Rose, and in that moment when Atticus invites her out if she is ever in London, it is clear he is taken with her. The Crawley family meet Atticus and his parents during a horse race, after which the Aldridge family is invited to dinner at Downton. Rose lets Atticus in on the secret that Edith is run away, and he suggest to her they should contact the magazine office that she inherited. When Rose relates this suggestion to Cora, Rosamund, and Violet, Violet remarks they were not going to tell anyone. Rose replies, "He's not anyone is he?" Only Cora smiles and forgives her. Lady Sinderby grows fond of Rose, describing her as quite "charming" and hopes that she and Atticus will become engaged. Lord Sinderby is not too keen on the other hand as he does not wish his son to marry out of their Jewish faith (as he explains to Atticus, if he marries her any children they have will be born Anglican, like their mother, not Jewish). Robert, though not opposed, advises Rose not to pretend it will not be plain sailing, telling her to write to her parents. After being insulted by Larry Grey, Atticus and Rose are drawn closer together, and at last become engaged. The wedding occurs in London. Atticus's father is not happy with the match, as is Rose's mom. Rose nonetheless expressed hope to get a blessing in a synagogue to respect both sides, and earn Lord Sinderby's approval. Her mother however tries to sabotage the match by setting up Atticus with a prostitute at his stag party. While upset, Rose forgives Atticus and the match goes ahead. In a later conversation with her mother after the marriage (her mother further attempted to sabotage the marriage by revealing her impending divorce to her husband to Lord Sinderby, who disapproves of divorce), it is hinted Rose figures out her mother was responsible, remarking they have different interpretations of love when Susan remarks whatever she said or did was out of love. Rose and Atticus spent their honeymoon in Venice, and they join Atticus's parents and the Crawley family at Brancaster Castle in Northumberland for the grouse season. When Lord Sinderby's butler Stowell repeatedly is rude to Tom, Rose explains to Mary that Stowell is "punishing" Tom because of his background, both for being Irish and a former chauffeur. She also informs Mary that her maid has suggested Stowell does not like Lord Sinderby and is very disrespectful of him behind his back. When Lord Sinderby's mistress Diana Clark is tricked into coming to Brancaster with his illegitimate son Daniel, Lord Sinderby panics but Rose immediately takes charge, presenting Diana as an old friend and getting Mary and Robert to play along. Rose's quick thinking earns her Lord Sinderby's respect and gratitude to have her as a daughter-in-law. She also uses the incident to make Stowell, who knew the secret, treat Tom more respectfully. Atticus meets Rose during a rainstorm, helping her with her bags. He continues to see her, and eventually reveals to her his and his family's Jewish faith, a fact which does not bother her. Rose eventually introduces Atticus to her family, and he in turn introduces them to his parents. His mother finds Rose quite charming and is happy that Atticus is quite taken with her, whereas his father does not wish for him to marry out of the faith. When Edith runs away, Rose lets Atticus in on the secret if he promises not to pass it on (despite the family's plan not to tell anyone). Atticus remembers Lord Grantham saying Edith had inherited Michael Gregson's publishing company. Atticus suggests contacting the office as they might know where to find her. Rose praises him as clever. Atticus soon proposes to Rose, and she accepts. Rose's father takes a liking to Atticus. Unfortunately, Atticus's father and Rose's mother do not approve. When Lord Sinderby reminds his son that if he marries Rose their children will grow up Anglican, Atticus responds that they may choose to convert to Judaism in the future, and insists that any children he and Rose have will grow up knowing both faiths. Susan tries to sabotage the wedding by setting Atticus up with a prostitute during his stag party. Atticus confronts his father, demanding to know if he was responsible as Atticus had not let Rose or any of her family know the extend of his father's disapproval. Lord Sinderby insists he was not responsible. Fortunately, Rose and Atticus go ahead and are happily married. Rose is immediately attracted to Sam when they meet in York. Sam is attracted to her as well, asking after her at Downton following a fight between himself and another man over dancing with her. Rose, however, sends him away with a kiss. ↑ Daughters of A Marquess from www.Debretts.com; excerpt: On marriage she continues to use the same style, with her husband's surname, ie if Lady Clare Hart married Mr Mark North, she would become Lady Clare North.. In this situation, Lady Rose MacClare married Mr Atticus Aldridge, so the same rule applies. ↑ SpoilerTV, Downton Abbey - Season 3 - Press Pack, page 4, Posted by b3rt4 at Monday, September 03, 2012; excerpt: "The arrival on the scene of Lady Rose MacClare, the daughter of her cousin, Lady Flintshire, will give her more opportunities to interfere." ↑ DailyMail.co.uk, A racy new maid, another shock for Lady Edith and simmering tension between Matthew and Lady Mary. Hold on to your hats as Downton decamps to Scotland By Nicole Lampert, PUBLISHED: 17:31 EST, 21 December 2012 | UPDATED: 17:59 EST, 21 December 2012; excerpt: "But it's not all caviar and pearls – Lady Rose, who was last seen in a clinch with a married man in a jazz club and is another modernising force, is at the centre of a bitter war of words between her antagonistic parents."